Headphones combining clean Scandinavian design and crisp digital sound. No cords mean nothing is holding you back. Play your music while you bust a move for up to 8 hours before charging. 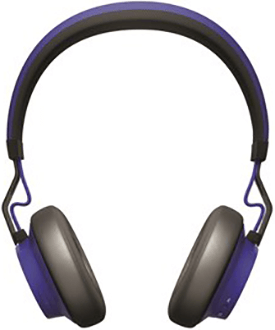 Manage your music and take any incoming calls directly from the headphones. If the headphones are out of battery or you can't connect wirelessly to your device, simply use the optional 3.5 mm cable. With up to 8 hours of music time and 12 days of standby time, you can take your music on a day trip without running out of battery. 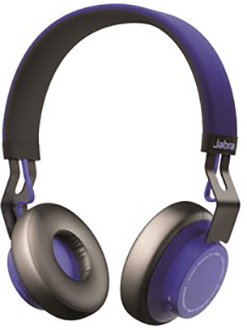 Get 30% off Jabra Move headphones with the purchase of any smartphone, in-store only.